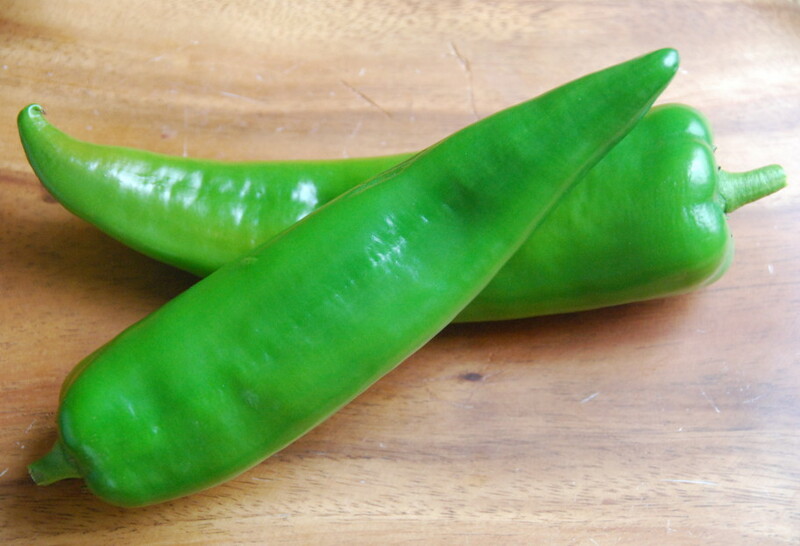 The chilacas, similar to the American Anaheim, are long, thin chiles, that sometimes twist and have a shinny light green color. Their heat goes from mild to mildly hot, but they are never very spicy. Chilacas are very meaty and are used many times as a vegetable. Most times charred, peeled, and seeded, like the Poblanos, they are used for side dishes like rajas sauteed with onions and sometimes cream and cheese. I ate this version many times in the state of Chihuahua, in the North of Mexico. They are also used for eggs, sauces, soups, casseroles and fillings, amongst other things. Chilacas become Pasillas when dried, and turn raisin black in color and interestingly bitter in flavor. They are sometimes confused with the New Mexico chile when dried, as they are and look similar, but the later is hotter. First I have to say how much Ilove your blog. It has great pictures as well as hands-on information. I’m a big fan of Mexican as well as US southwestern cuisine. I’m German so my access to some regional products is somewhat limited. As a trained gardener I read a lot about chiles but the first time I read about the similarity of New Mex chiles and pasillas are in your blog.For some reason I can get pasillas a lot cheaper than New Mex chiles. Do you think I can substitute pasillas for New Mex? Heat is not a problem, I like the fruity, rich taste of chiles much more. Or is there too big a difference? I’m also looking for a basic recipe for homemade chili powder (the mixed kind with oregano and such) you can buy at the grocery (only in a poor quality). If you could help me with one or the other I would greatly appreciate your help. Yes, you can substitute Pasillas for New Mexico chiles. They are slightly different, but can work well when either is called for. The difference is not that huge. The Pasilla has a deeper and slightly bitter taste (which I love). As for home made chili powder, different brands use different kinds. To make one, all you need to do is stem, seed and lightly toast the already dried chiles (you can combine some anchos and pasillas for example…that is a great combo) and grind them. Then combine them with salt and some spices like oregano or thyme. Here, though, you may want to play and test different combinations until you get one you like. Cada vez que leo uno de tus posts no sólo me da antojo de lo que sea que has puesto, sino unas ganas enormes de cocinar!